James Worley, the man accused and criminally charged with a series of crimes in relation to the kidnapping and death of Sierah Joughin was brought up on more charges Tuesday, this time in civil court. 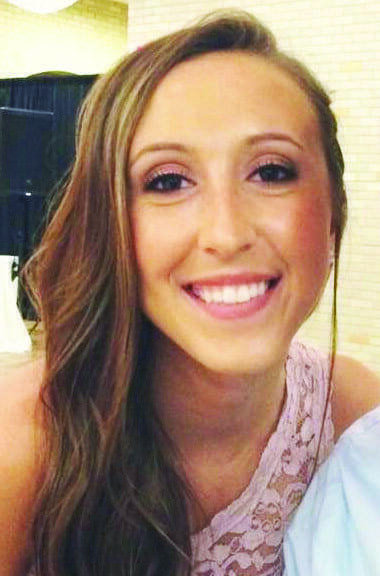 The civil suit, filed by the family of Sierah Joughin on behalf of her estate, targets Worley’s 3.05 acre estate on County Road 6 in rural Fulton County. Attorneys James Harris and Jerome Phillips cite that the estate is due liabilities from Worley for assault and battery, wrongful death, and punitive damages. However, Worley claims to be indigent after what the plaintiffs call a fraudulent transfer of his home. After being brought up on criminal charges in the Joughin case on July 22, 2016, court records indicate that Worley transferred his property rights to himself as the sole trustee of a trust, a move the suit claims was made to intentionally defraud the Joughin estate. Thus, with the suit filed in the Fulton County Common Pleas Court, the Joughin family hopes to have the transaction declared illegal, so they may gain the property as due payment for the liabilities against Worley. The aim of the suit, according to the plaintiffs, is to demolish the property’s barn where investigators found a hidden room outfitted with a freezer, a “nanny cam”, several rolls of duct tape, rope, and blood stains just days after Joughin’s remains were found in a shallow grave a few miles away. “It’s like a neon sign every time they drive by,” said counselor Phillips of the Worley property. The property itself has a notorious history all its own. Since 2004, police reports show that Worley called the Fulton County Sheriff’s Office about 15 times regarding potential disturbances in and around his property ranging from barking dogs, newspaper deliveries missing the mailbox, and a suspicious door-to-door vacuum cleaner salesman. One such incident occurred just two years prior to Joughin’s abduction when Worley gave chase in his truck to two 17 year old boys on their bikes from in front of his home to an outdoor party to inform them he had called the sheriff’s office. The responding deputy’s report indicated that Worley was concerned of the boys’ activity due to recent burglaries. A ski mask and zip ties were later found in his truck following his arrest for Joughin’s death. Worley, 57, is listed as living in his County Road 6 home in 1979, 1990, and 2000, although not necessarily continuously. A 1978 Evergreen High School graduate, Worley contributed his 1.59 grade-point average to his extensive use and sale of marijuana from the time he was 14 years old, early court records indicate. Worley was first arrested in July, 1990, for attempting to abduct a 26 year old woman riding her bike outside of Whitehouse, OH. After leaving his vehicle, hitting the victim on the head, and placing her in handcuffs, Worley attempted to drive off before the victim escaped, a Waterville Township Police report indicates. Major Matt Smithmyer of the Fulton County Sheriff’s Office wrote that “Worley fits the profile of a serial offender and could potentially have additional unknown victims who could have been kept at the above described location” in warrants to search Worley’s property. Previous statements indicate that Worley had worked for three years until 1982 at Toledo’s Art Iron, Inc. and then three months at Shininger, Inc. in Delta. He said he was then hired at Vulcan Industries in Toledo, leaving when the plant closed in 1986. He would later work for area farmers and for grounds crews at numerous county fairs. In a letter requesting early release for his 1990 conviction, Worley describes the first decade after graduating high school as being economically tough for his family, especially after various misfortunes and layoffs. “I don’t like to admit that I and my family are poor. But we have always worked hard and earned everything we have ever had. This is why I am so proud and protective of my family. My family and myself are good, decent, and very honest people!” Worley said. In his first arraignment on charges in the Joughin case, Worley claimed to have made only $1,000 in 2015. His property was appraised at a value of $97,500 by the Fulton County Auditor in 2014. Worley is currently held at the Corrections Center of Northwest Ohio for charges of abduction, kidnapping, felonious assault, aggravated murder, aggravated robbery, possession of criminal tools, tampering with evidence, abuse of a corpse, and possessing weapons under disability. His trial is scheduled to begin January 16, 2018, with the defense expected to request the civil proceedings begin after the criminal case is presented. Be the first to comment on "Civil Suit Is Latest Claim Against Joughin Murder Suspect"